One of my favorite things about South By Southwest (SXSW) has always been the annual opportunity it affords me to be face-to-face with many people that I only interact with online throughout the year. The favorite thing about the event for Austin-area businesses, however, is probably the injection of hundreds of millions of dollars into the local economy – a $325.3 million impact in 2016 alone. CNBC likened it to a second Christmas for small businesses. And that makes it a great time to discuss the opportunities and challenges facing small businesses and entrepreneurs. With the chaotic SXSW backdrop, Dell brought together seven members of the small business and entrepreneur community for a Dell Inside Circle Mini-Meetup on March 12. They were all appearing throughout the conferences and festivals at events and on panels in the Dell Experience. 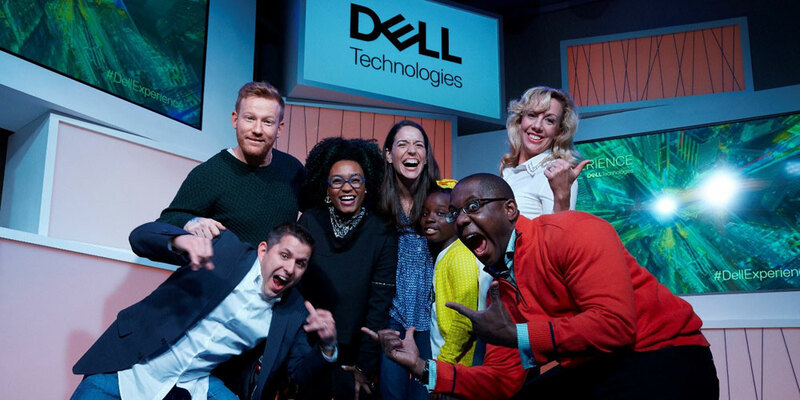 But this mini-meetup provided an intimate gathering of the minds for these influential and accomplished entrepreneurs to discuss upcoming initiatives, small business challenges, and of course— their love for all things Dell. For many, it was a reunion – including myself and Ramon Ray, founder and publisher of Smart Hustle. I’ve been fortunate to interact with him at least 7-8 years (I lose count) in my various roles at Dell and always appreciate his insight into the life of our small business customers. Erik Day, who leads North America Small Business for Dell, took the opportunity to brainstorm with Ray, on the topic of what is changing and what’s staying the same for small business technology. The small business world, an often tight-knit community, showed up in full force in Austin during this year’s SXSW. Small business and entrepreneurship were front and center with pitch competitions running daily in different venues all over Austin. At the Dell meetup, Mikaila Ulmer, the 12-year-old founder of Me and the Bees embraced Entrepreneur-in-Residence at Dell Elizbeth Gore, and Rakia Reynolds, founder of Skai Blue Media, like old friends. Ulmer also made a new friend in our Social Good Advocate Adrian Grenier, who was spotted by the media giving her a shout out on Facebook. “My favorite [moment] was in one day at the Dell Experience lounge we had: entrepreneurs, youth, Congressman, celebrities, CEOs and veterans. Everything we stand behind in one moment,” said Gore. Ben Hindman, co-founder and CEO of Splash and Reynolds, who have both appeared on the cover of Dell’s Small Business Magazine and in Dell Small Business TV spots, reunited for the first time since their video shoots. Carolyn Rodz, founder of Circular Board and the newest member among the Dell Inside Circle group, had recently – along with long-time pal, Gore – invited the group to her company’s conference, Circular Summit, taking place March 30-31, 2017 at Hotel ZaZa in Houston, Texas. And keeping up with that sort of technological disruption is important for small businesses. 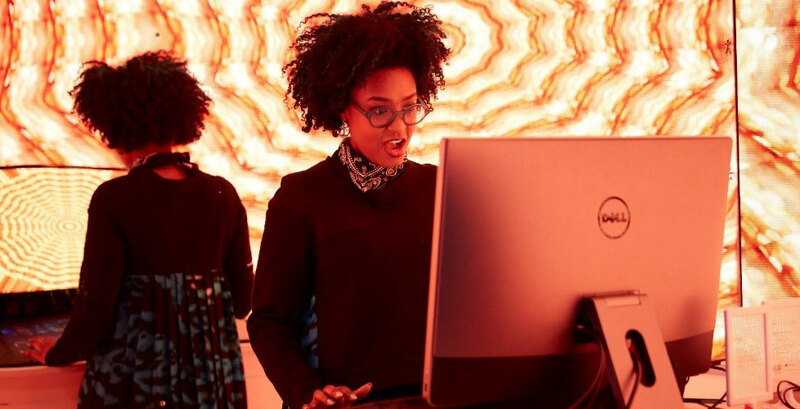 It’s also the topic of the latest Dell Technologies podcast on “Developing Distruption.” It’s just one innovative new way that we’re helping our small businesses and entrepreneur customers keep up with the trends that will impact their business. I encourage you to take a listen! This is all very well, but the reality is quite different, at least with India sales support for SMBs. I have contacted Dell to make specific purchases on two occasions and have utterly failed. What does that say about Dell? Further, you say bombastic things here (http://www.dell.com/learn/in/en/incorp1/customer-engagement?s=corp) but you dont even have a way for customers to provide feedback for issues faced. What a joke. So i’m reduced to writing it here.